Click above to go to the category you are interested in or CLICK HERE to download the entire programme. 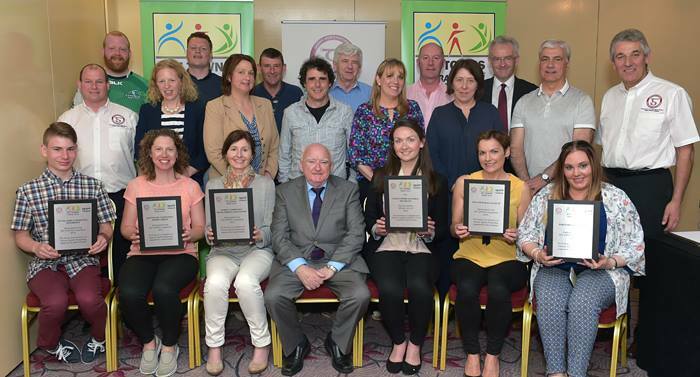 ​On Thursday 1st September Galway Sports Partnership launched its Fit Towns 2017 initiative in the Clayton hotel. 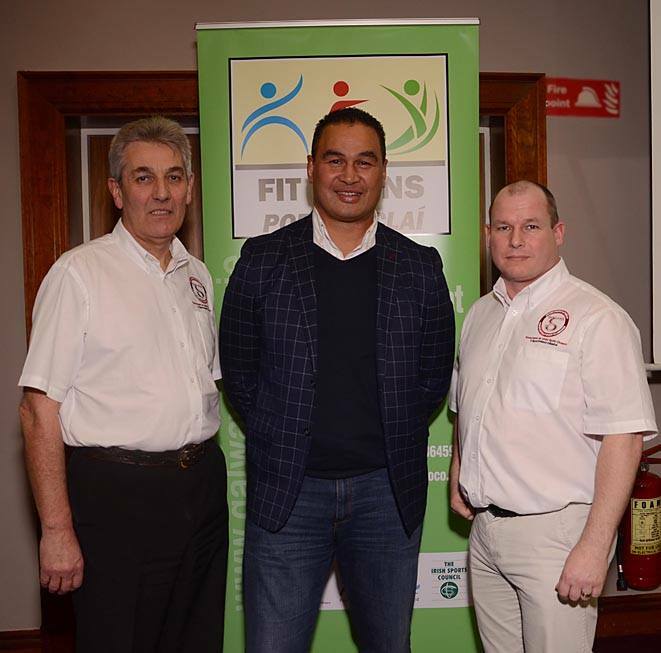 Special guest on the evening, Pat Lam, Connacht Rugby head coach performed the launch. The attendance included public representatives, community group representatives and members of the Sports Partnership Steering Group. 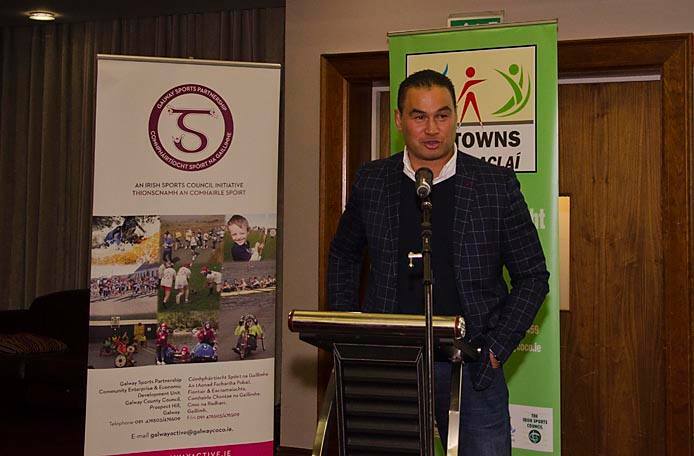 In his address to the attendance Pat Lam made reference to the importance of ‘community doing things for people’. He said that sport plays a huge part in the lives of people in communities throughout Galway and that Fit Towns provides a real opportunity for these communities to build relationships through sport, for the good of all the people. 3. An off-shore island category. 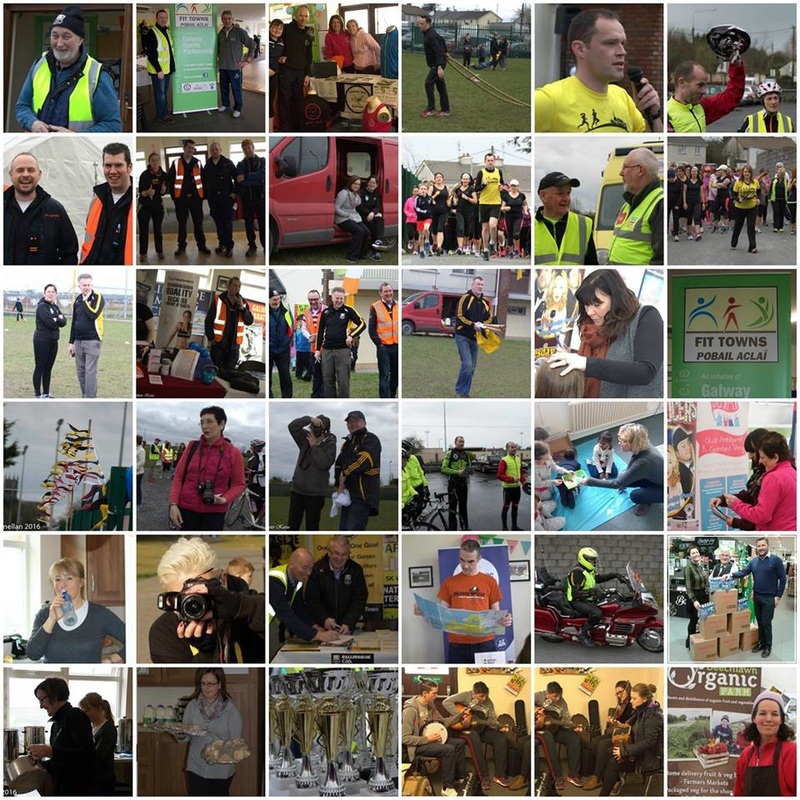 The ‘Activity Period’ in 2017 will be from the 13th February to the 27th March 2017 and during that time clubs/groups/individuals and organisations in each category are invited to come together and organise sport and physical activity opportunities for all persons within their communities – from the very young to older adults. All types of sport and physical activities can be considered from archery to zumba and everything in between. Communities may decide that one or two groups/clubs take a lead on the organisation of the activities or they may decide to set up a specific ‘Fit Towns’ committee to run the events. Once they have organised the events they are invited to apply to Galway Sports Partnership to partake in the competition. Closing date for receipt of applications is the 3rd February 2017.